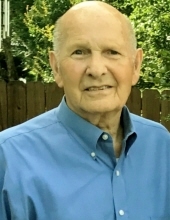 Seneca – Carlton Eugene Heaton, 84, husband of Eunice Haulbrook Heaton, passed away Wednesday, January 16, 2019, at his residence. Born in Hartwell, GA, he was the son of the late Willie Fred Heaton and Minnie Black Heaton. Mr. Heaton was employed for 48 years, in the textile industry at J.P Stevens and was a Veteran of the United States Army. Mr. Heaton is survived by his loving wife, Eunice Haulbrook Heaton of 63 years ; son, Timothy Carlton Heaton and wife Mary of Simpsonville, SC; brother, Dale Heaton and wife Grace of Seneca, SC; sisters, Sula Arnold and husband Paul of Seneca, SC, Elaine Kirby of Seneca, SC; grandchildren, Phillip Heaton, Elizabeth Heaton Taylor and husband Alex; great grandchild, Blake Heaton. In addition to his parents Carlton is preceded in death by brothers, Harold Heaton, Hugh Heaton, Douglas Heaton, and Burice Heaton. A funeral service will be held at 2:30 pm, Friday, January 18, 2019 at Sandifer Funeral Home Chapel. The family will receive friends from 1 pm – 2 pm, prior to the service at Sandifer Funeral Home. Burial to follow at Oconee Memorial Park. The family is at the respective homes. In lieu of flowers, memorials in Mr. Heaton’s memory may be made to Seneca Church of God of Prophecy, PO Box 1617, Seneca, SC 29679 or Full Gospel Temple, 102 Winding Creek Lane, Seneca, SC 29672. Condolences may be expressed online by visiting www.sandiferfuneralhome.com. To send flowers or a remembrance gift to the family of Carlton Eugene Heaton, please visit our Tribute Store. "Email Address" would like to share the life celebration of Carlton Eugene Heaton. Click on the "link" to go to share a favorite memory or leave a condolence message for the family.